Families bringing their children up exclusively in Gaelic can have different concerns about Gaelic education from those families using English at home and therefore FAQs which apply to the former group appear below in Gaelic. Chan e an dualchainnt againn fhèin a th' aig an tidsear san sgoil as fhaisge - no anns na leabhraichean. Nach cuir seo a' chlann troimh-chèile? Chan eil mi a' faireachdainn gu bheil a' Ghàidhlig agam math gu leòr airson a bhith ga bruidhinn ris a' chloinn agam. Chan eil mi a' tuigsinn cuid de na facail no den ghràmar a th' anns na leabhraichean a tha iad a' toirt dhachaigh às an sgoil. But my child doesn't speak Gaelic - how will (s)he cope? 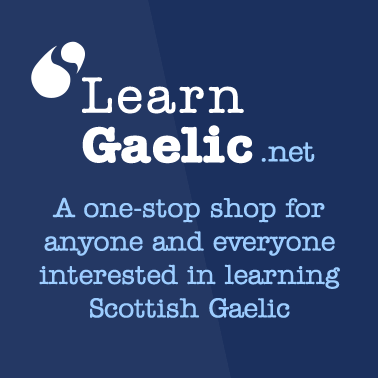 Are there sufficient Gaelic-medium education resources available - books and so on? Can you give me some background knowledge, as I don't know anything about Gaelic? 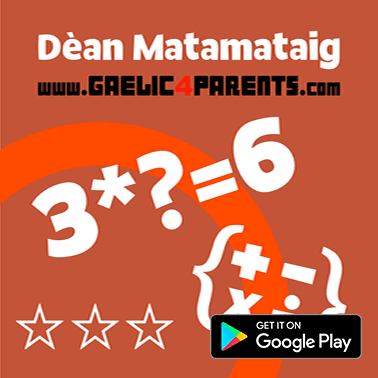 How can I find out what the Gaelic version of my child's name is? How can I find a Gaelic name for my child? Why Gaelic? Why not learn a more 'useful' language, like French or German? 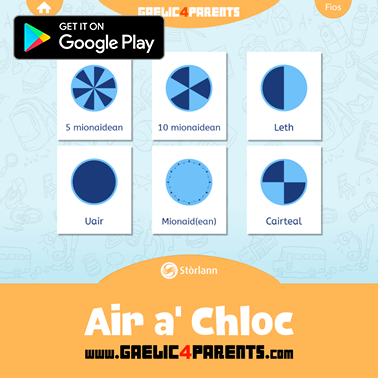 People are always saying that Gaelic doesn't have words for things like 'computer' and 'helicopter' - how can children be taught subjects like science in Gaelic? Isn't Gaelic a difficult language to learn? I can't speak Gaelic - how can I support my child with homework and so on? I'm concerned that we won't be able to 'share' the education experience in the same way. There's no Gaelic-medium education available in my town/council area - how do I go about requesting Gaelic provision? I'm worried that my child's English reading and writing will suffer if (s)he is in Gaelic education. If my child needs to travel to access the nearest Gaelic-medium facility, will his/her travel expenses be covered? Since my child doesn't speak Gaelic, will his/her learning of other subjects be affected? We speak (for example) Thai to our children at home and not English. Will they still learn to use English well if we send them to a Gaelic-medium school? I want my child to have as wide a range of friends as possible. Won't sending him/her to Gaelic-medium education affect his/her network of friends?